Introduction : The intent of the studio was to demonstrate the capabilities of Python as a programming language in architectural design. 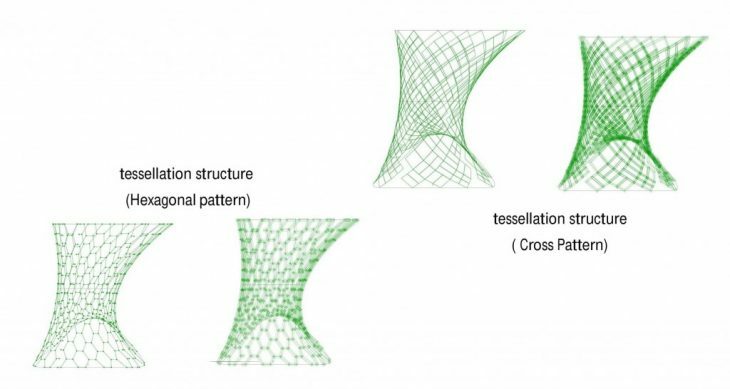 for the same this project to develop Curved or Voronoi tessellation Structure with different Regular and Irregular Geometry Shapes with an integrated computational design tool python and then robotic manufacturing process that allows programming to digital fabrication, which can lead to unconventional design solution that possibly features innovative forms, structural soundness and material efficiency. to finish the complete design by computational design tool python. Application : Architectural Application of Such kind of structure for the Buildings, Pavilions, Roofs, Sculptures etc. 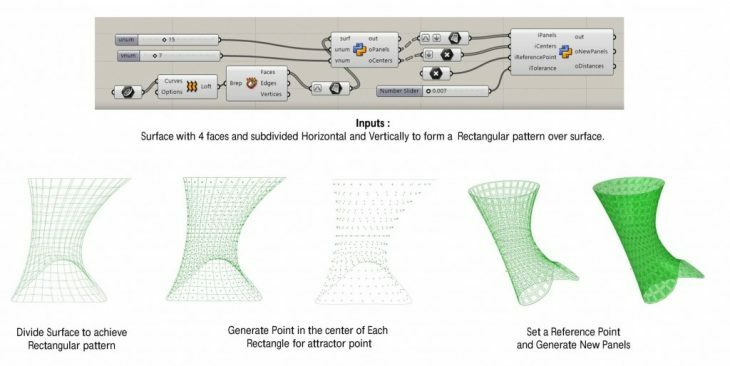 • Complete the Computational Design Part with different Geometrical patterns. • A custom-designed rotary saw tool for a 6-axis robot to cut the specific patterns. • Robotic manufacturing process that allows programming to the digital fabrication. 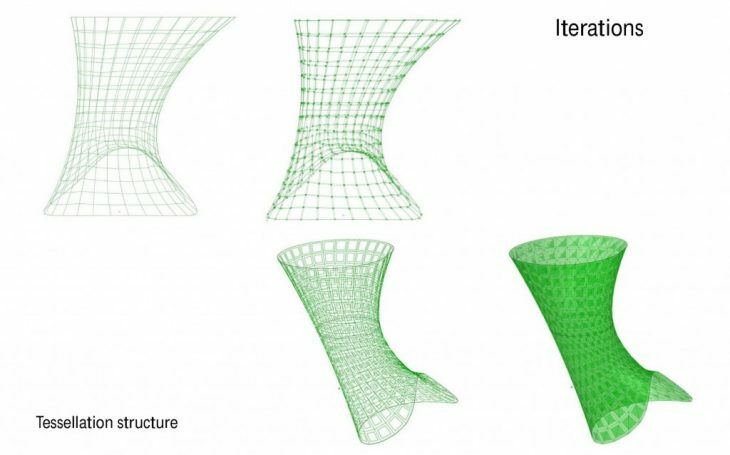 • Computer controlled variation of Curving depth, length, frequency and orientation allowed for achieving more elaborate bending and warping figures. • Understand and detail out cumulative kerfs.